I love Halloween. Such a fun time of year to experiment with creativity in the kitchen, along with the costumes. The funny costumes are my favorite. This year, I’m dressing up as a chef, and my daughter is dressing up as a cupcake. She is truly the best thing I’ve ever created. And cutest. And sweetest. Anyway, this is just a spin on some cookies that I previously posted on here, the chocolate and peanut butter chip cookies. Here are the chips. 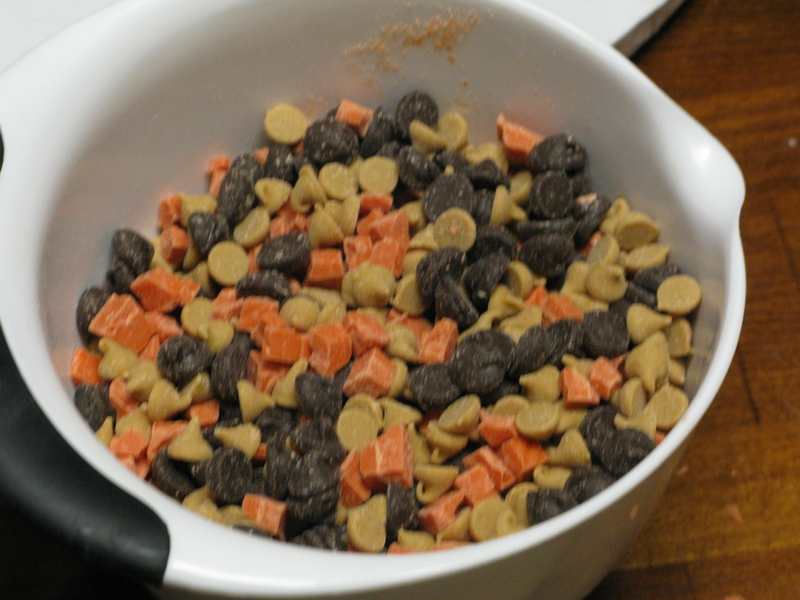 I used one bag of dark chocolate chips, one bag of peanut butter chips, and chopped up chunks of orange chocolate to throw in to the mix to add some color for Halloween, and of course the extra flavor of vanilla flavored chocolate. These guys bake perfectly on a baking stone in my oven at 350 degrees for 13 minutes. 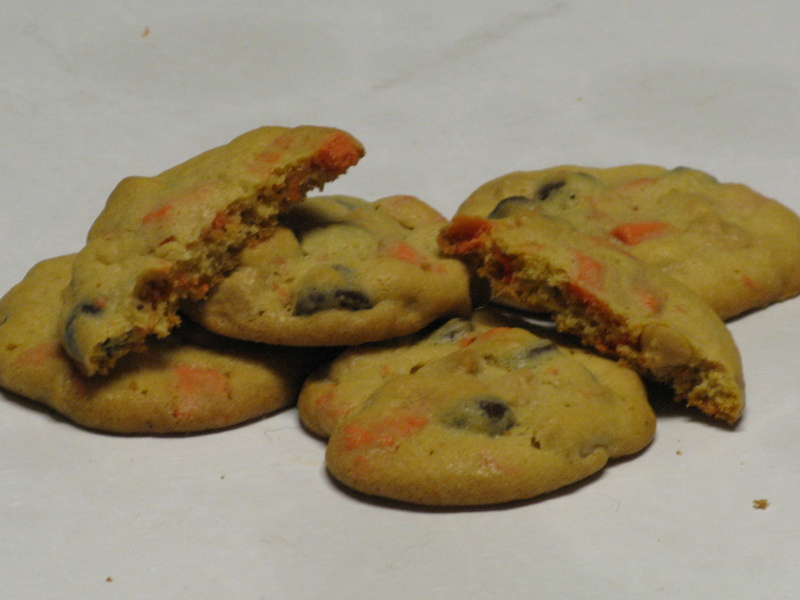 If you haven’t read my recommendation for using a baking stone for cookies, here it is…I highly recommend using a baking stone for baking cookies. 😉 The bake perfectly even from top to bottom, so the color on top is the color on bottom, preventing the cookies from burning. I made these with my family over at the house for dinner, and my brother came back several times, searching for more of these cookies. They must be good, because he’s a picky eater.